HomeIt must be true. My business card says so. It must be true. 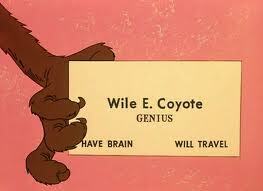 My business card says so. I got a very interesting email the other day, with the subject of “Want to get your script into shape?”. How could I resist such a persuasive sales pitch? What followed was a lengthy diatribe about what an almost insurmountable task it was to write not just a good script, but a great one with the potential to open all kinds of doors and really get my career going. If I wanted any of that to happen, then I should seriously consider the services of a script consultant. Specifically, this person. It was a foregone conclusion I wasn’t interested, but I was intrigued to know more about them. Exactly who is this, and why should I invest the time and money to work with them? So I clicked on the link to their website. Let’s just say it was not encouraging. A very early-2000s look to the whole thing. Generic descriptions of what a script consultant is, how they can help me and lots of pie-in-the-sky descriptions of what could possibly happen with my script. No details about cost. Totally anonymous testimonials (which didn’t even sound true to begin with). Did I mention this email showed up in my junk mail folder? Just to seal the deal, I looked them up on IMDB Pro. Exactly. Nothing. We all know this is an incredibly tough business to break into, and take all the help we can get. Using professional feedback can really benefit your work and help develop your skills. The tough part is figuring out who actually is a professional and gives you your money’s worth. Utilize the tools at your disposal and do your homework. Ask questions of your peers via emails or Twitter. Check the numerous blogs and forums. There’s no reason you can’t find the information you need. And don’t be afraid to price-check and comparison shop. This is your time and money we’re talking about. There will always be people who claim to be experts or professionals with all the answers, looking to take advantage of your desperation to succeed and ready to take your money. Fortunately, you can go into this prepared and not let them.